Membership information and registration portal for Summer 2019 will be live soon! 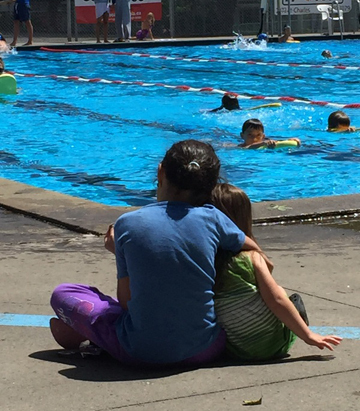 For over 50 years Beacon Hill Pool has been a staple of summertime outdoor activity in the Beacon Hill Community. The pool has provided families from throughout Beaconsfield and surrounding neighborhoods with a safe, fun, and friendly locale to escape the summer heat. Come for a swim or just hang with your friends. Stop by and check it out for yourself, you won't be disappointed! Pool membership entitles the holder access to ALL swim programs except for Bronze Medallion/Cross. This includes open swim times and adult lessons for mom and dad, and lessons and team activities for the kids and teens. Other activities such as kids movie nights and adult parties may involve a small fee for snacks and such. If you or your family is interested in joining with a summer membership check out our fees for 2018 and registration information below. Per household, may include one babysitter.